ooooh! lucky! 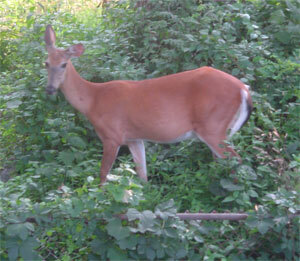 whenever i see a deer i always feel like i’ve chanced upon something immensely magical. 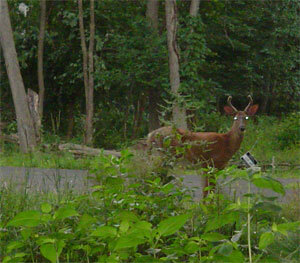 i know what you mean about the deer as inspiration… i just moved to a new house that is wooded with LOTS of deer. suddenly all of my crafts are centered around deer, birds, and trees! ps – your etsy critters are cute! Aren’t they beautiful! We moved to the woods last fall and ever since, I’ve been creating things with trees and birds and nature, too! Love it.